Former Vermont Governor Jim Douglas will deliver the commencement address at Castleton University’s 232nd graduation ceremony on Saturday, May 18. Douglas was named the 80th governor of Vermont in 2002 and was re-elected for three terms with a majority of the vote. He was elected to the Vermont House of Representatives in November 1972, where he would become the House majority leader during his third two-year term at the age of 25. Douglas was elected Secretary of State in 1980, a post he held until 1992. 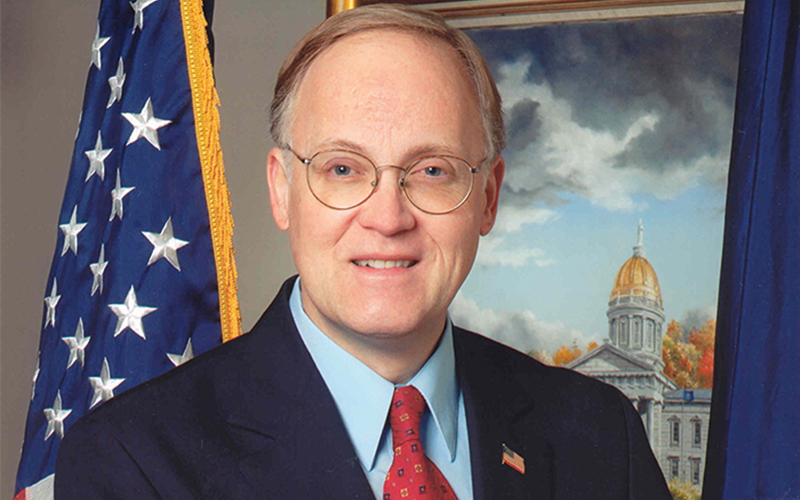 He also served as Vermont state treasurer from 1995 to 2002. “I believe that former Governor Jim Douglas will offer our graduates an important perspective about what can happen when we set aside our differences and focus our energy into creating positive change,” said President Dr. Karen Scolforo. “I have no doubt his words will engage, encourage, and inspire." Douglas is best known for his stance on key issues during his time as Governor, including the 2007 landmark civil rights bill that banned discrimination on the basis of gender identity by employers, financial institutions, housing, and public accommodations. He focused his time in office on strengthening Vermont’s economy, reducing the cost of living, and protecting the environment. He served as chairman of the National Governors Association and former President Barack Obama appointed Douglas co-chair of the Council of Governors, a bipartisan group consisting of 10 governors who advised on matters related to the National Guard and civil support missions. After his time in office, Douglas became an executive in residence at his alma mater, Middlebury College, and began teaching courses in politics and government. His memoir, titled “The Vermont Way: A Republican Governor Leads America’s Most Liberal State,” was released in 2012.